Percy Harrison Fawcett was a famous explorer of the Amazon, and he disappeared in the jungle with his son and his son’s friend in 1925 when he was looking for an ancient city called Z. Fawcett became even more famous after his death, many disappeared into the Amazon when trying to find him and people even established cults devoted to him. David Grann tells the excellent tale of the explorer’s life and his disappearance, but also about his own adventures into the Amazon 80 years after Fawcett. He hopes to find more clues about the disappearance and the city Fawcett was looking for. I loved this book. 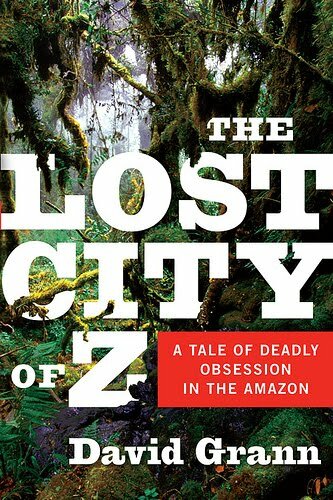 David Grann has done an excellent job researching Fawcett and the Amazon. It is a thrilling adventure and I really felt the jungle while reading. As I read it on my Kindle, I highlighted parts of the text because I really liked what I read.